TriMet operators and riders are praising recent, simple improvements that help buses keep moving, even during high traffic rush hours. 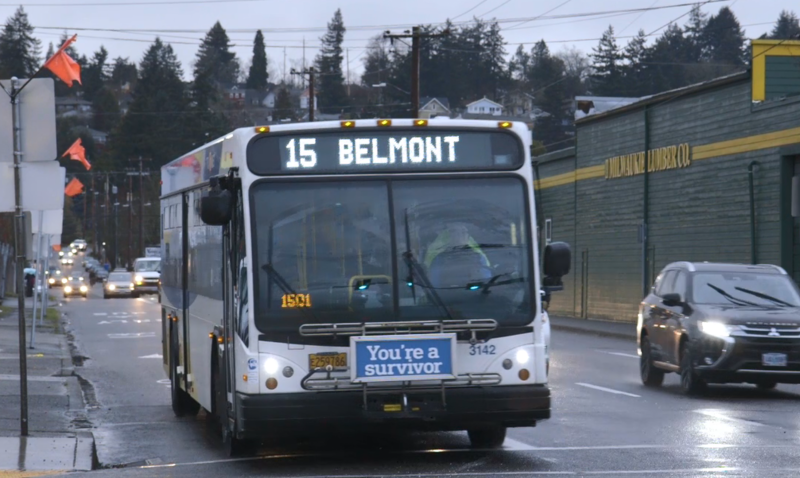 We’re working with the Portland Bureau of Transportation (PBOT) and the Oregon Department of Transportation (ODOT) to speed up transit in areas where our buses often get slowed down. 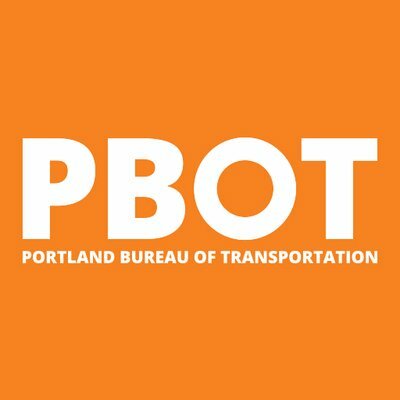 The addition of bus/bike lanes on the approach to 82nd Avenue in Southeast Portland has reduced delays on Line 15-Belmont/NW 23rd 11 percent or more. 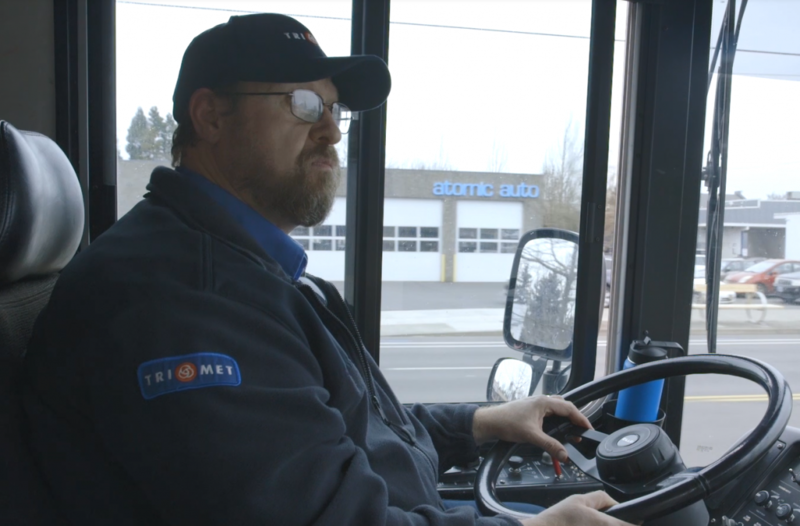 TriMet bus operator Allen Tanner has been driving Line 15 off and on, for about three years. He enjoys the route, with its view from Mount Tabor, but he found some of the driving conditions to be frustrating. He estimates congestion on Southeast Stark and Washington leading up to 82nd Avenue had slowed his bus by five minutes or more during the morning commute. “It’s not very much fun because you don’t feel that you’re making the progress you should be making as far as schedule and getting the people where they want to go,” said Tanner. Bus/bike/right turn only lane approaching SE 82nd Ave. from SE Stark St.
Last May, PBOT converted the right hand, westbound lane of Southeast Stark Street from about 85th Avenue to Southeast 82nd Avenue. Buses and bikes go straight through the intersection, but cars must turn right. Known as a pro-time bus lane, parking is allowed in sections of the lane, just not between 6 a.m. and 9 a.m. The temporary adjustment reduced delays by 8 percent during the morning commute and 3.7 percent all day. In August, PBOT made a similar change on Southeast Washington Street, where Line 15 travels eastbound toward 82nd Avenue. From about 80th to 83rd Avenue, autos must turn right at intersections, but buses and bikes can go straight. Delays during the morning commute dropped by more than 11 percent, and fell 3.4 percent all day. TriMet thanks our partner agencies for helping us speed up transit trips across the region. Since our buses use roads that are owned and maintained by cities, counties or the state, we need their help to make improvements. 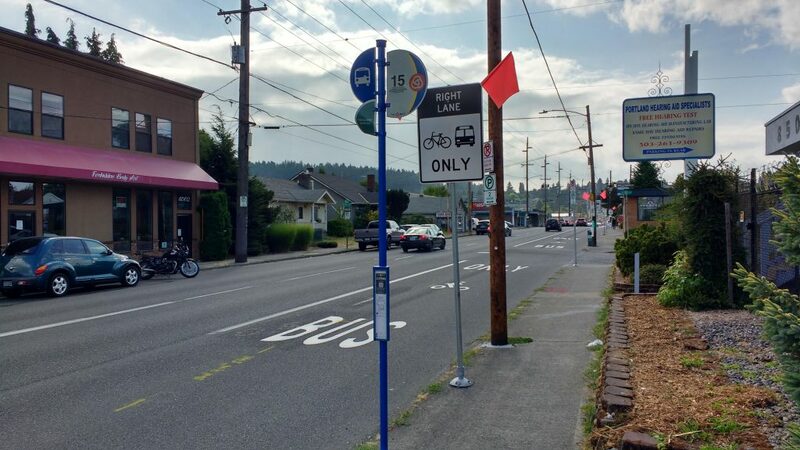 Since September 2017, 11 small and relatively inexpensive projects have been completed to speed up TriMet buses. Combined, they improved reliability and performance on 15 bus lines, reducing traffic-related delays by as much as 61 percent. Line 15 traveling east on SE Washington St.
Line 15 connects Gateway, Southeast Portland, Portland City Center and Nob Hill to Montgomery Park and the NW Industrial neighborhood. It provides about 8,000 trips each weekday. As one of TriMet’s 15 Frequent Service bus lines, buses on Line 15 arrive every minutes or better most of the day, every day. TriMet has 85 bus lines, five MAX light rail lines, WES commuter rail and LIFT paratransit to serve our 532-square-mile service district across Clackamas, Multnomah and Washington counties. We provide more than 97 million trips each year, connecting communities and moving our riders to jobs, schools, services, entertainment and more. Plan your next trip!